Update #2: T-Mobile has started updating support pages with a clarification on those Wi-Fi calling enhancements. The phones now have support for Gogo inflight texting, a feature the company announced as part of Un-Carrier 7.0. Update #1: The Galaxy S5 got some love, too. Google isn't the only company lumping big updates on Wednesday. T-Mobile is sending out Android updates to four, count 'em, four phones on its network. The low-priced Galaxy Avant is getting upgraded to 4.4.2 (it ran 4.4 before), but the LG G3, HTC One M8, and Galaxy Note 3 all get smaller updates with improvements for T-Mo's Wi-Fi calling. Strangely, only the flagships are getting an over-the-air update: the more significant improvement for the Avant needs Samsung's Kies program to download. 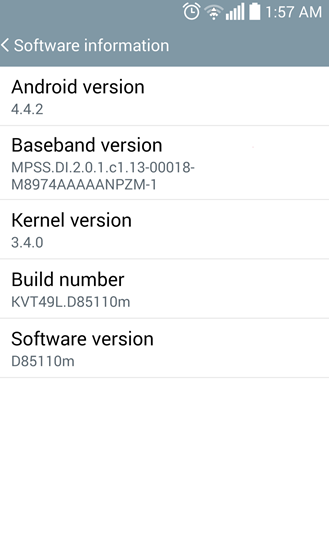 LG G3 updated screenshot - thanks, Patrick J Christensen! In all cases, T-Mobile recommends at least 50% battery power and a solid Wi-Fi connection before downloading the update. (Is that what they mean by "Un-carrier," get off our network for anything intensive?) 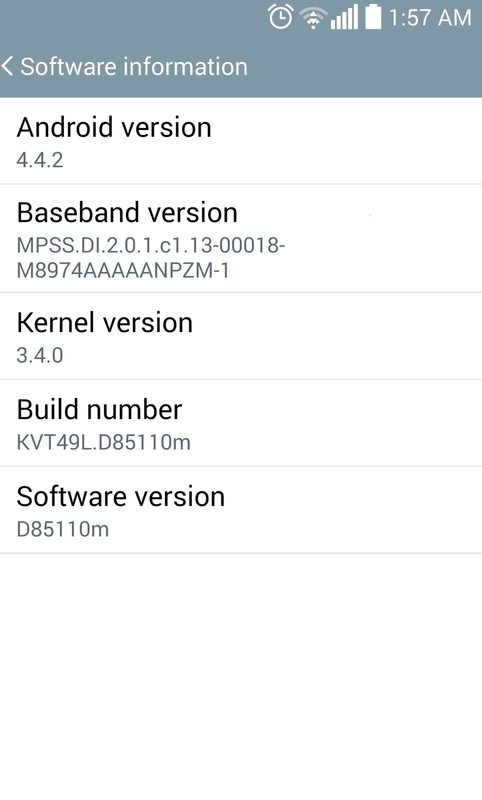 The LG G3 stays on 4.4.2 with its 156MB download. The One M8 gets the same with its 4.4.3 build, which is slightly smaller at 155MB. (Strangely, T-Mobile's update page marks this as a 4.4.3 version upgrade, despite sending that update out last month.) Ditto for the Galaxy Note 3 on 4.4.2, and its download is only 78MB. The Avant and its Kies-only update gets Wi-Fi calling for the first time with a 103MB download. There is no other significant information in the changelogs for any of the phones. The G3, One M8, and Note 3 should get their updates over the air soon enough, and owners can check the usual user forums if they want to find OTA ZIP files for manual updating. Root users, watch out for errors or permission loss. Galaxy Avant owners, the Kies download is manual anyway - the fairly simple process is outlined on T-Mobile's support page below.